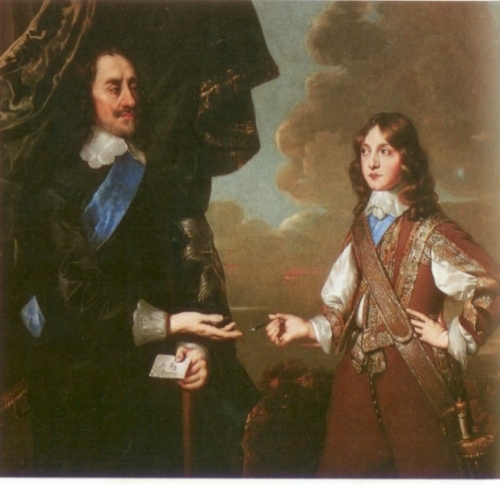 England's King Charles I and his son, James II. England's King Charles L and his younger son, James II.. Wallpaper and background images in the rois et reines club tagged: king charles i king james ii england king royalty monarchy king of england. This rois et reines photo might contain bien habillé personne, costume, costume pantalon, tailleur-pantalon, pantalon costume, pantsuit, personne bien habillé, pantalon de costume, costume d'affaires, costume d’affaires, surcoat, and surcot.